We have all heard of the prohibition of 1920 to 1933 in the United States and other countries. 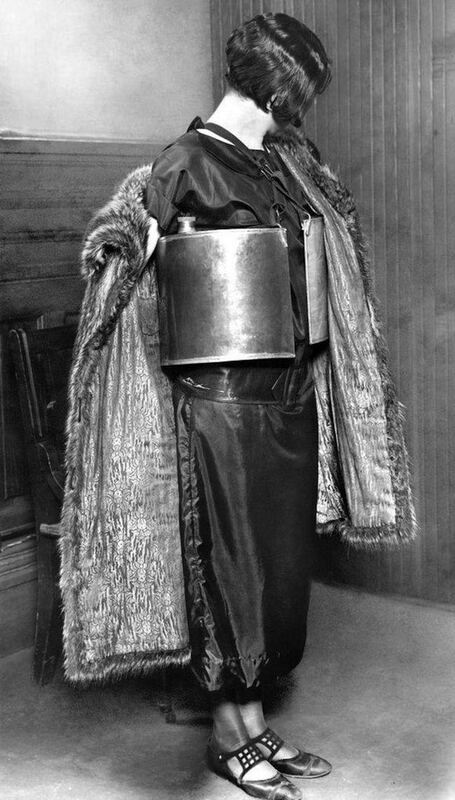 How is it that people were able to conceal alcohol on their persons? In this context, I would like to know the historical ways people did so prior to 1950. The question is not limited to the 20th century. 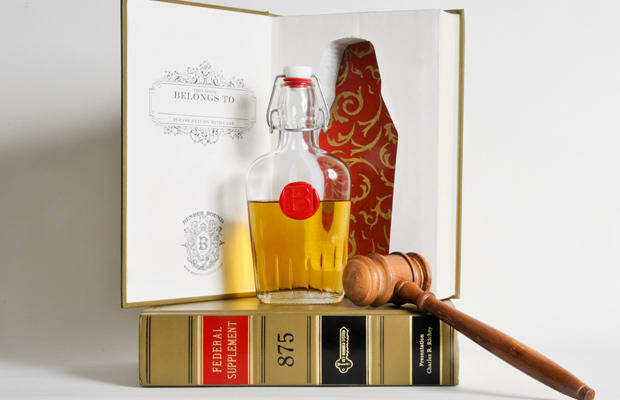 We know that hiding alcohol was done in bootlegs and books, are there other known methods that people historically used to hide booze on their bodies? 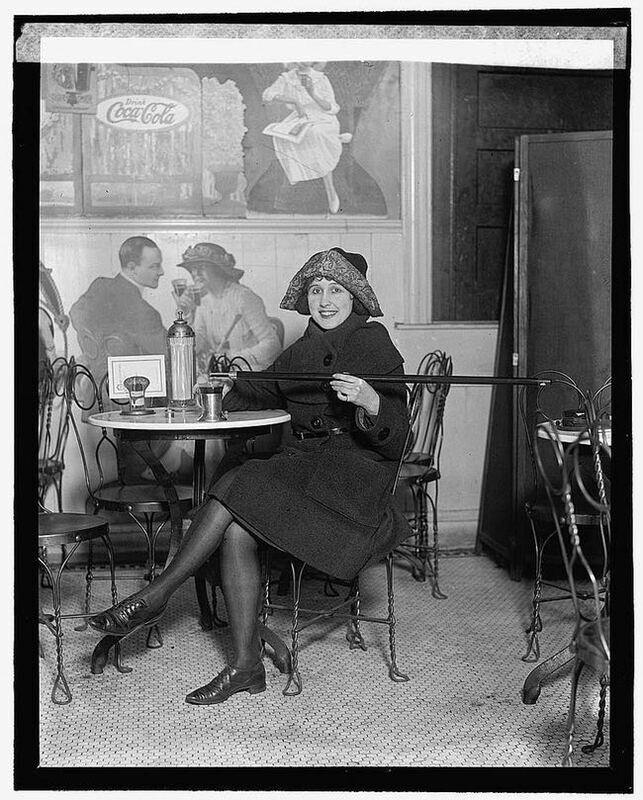 The Library of Congress labels this one "Woman seated at a soda fountain table is pouring alcohol into a cup from a cane, during Prohibition; with a large Coca-Cola advertisement on the wall, 2/13/22." So-called "flask canes" or "tippling sticks" are still a thing, even in the booze-soaked wonderland of 21st century America. One site even targets veterans by putting seals from the various branches of the US military on top of the cane. War is hell, after all, so who are we to judge? (David Dunlap of the Times' "The Lively Morgue" blog guesses this was a reference to "Tennessee, the 36th state to ratify the 19th Amendment, granting women’s suffrage?"). "Flask" might not be quite the right word for these behemoths. 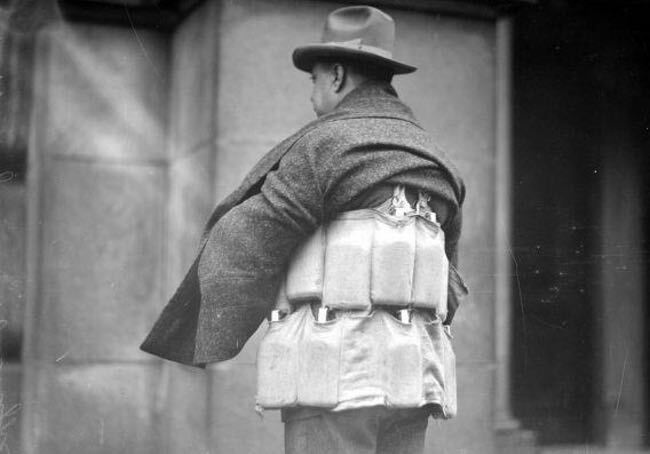 The original 1928 caption called them "tins" concealed by a "floppy overcoat." 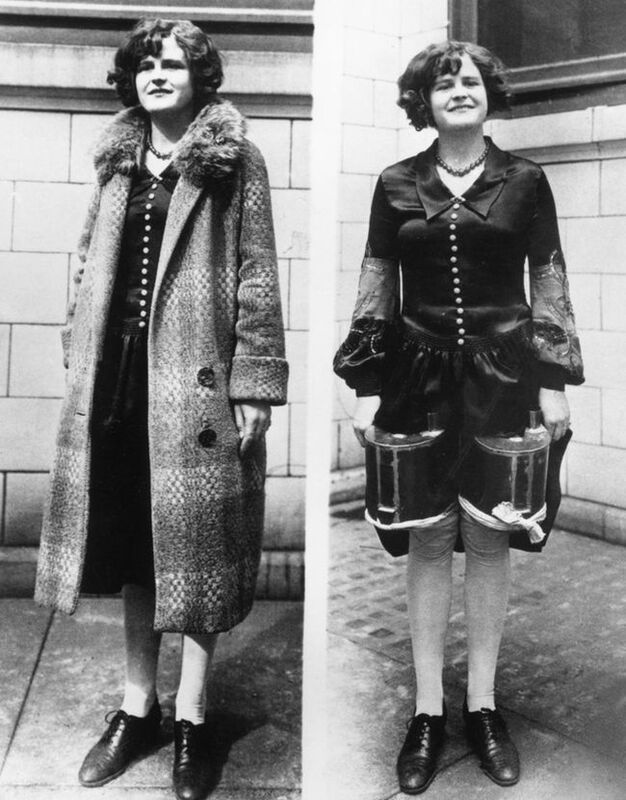 No word on how exactly these were held in place, but it they were full, they must have given this young flapper quite the workout.